Romania is a country that has a lot to offer in terms of medical and dental tourism. Our specialists are well trained and professional and are experienced in working with a wide range of clients, foreign tourists included. Our team dentists in Bucharest can help you with any dental problem. After an initial consultation you can establish the adequate dental treatment plan with one of our specialists. You can also plan an extended trip to Romania, depending on the number of necessary dental procedures. 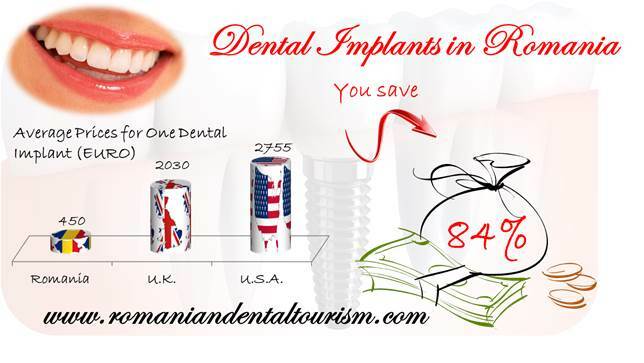 In Romania, some of the most complex but affordable dental procedures are dental implants. At our clinic they start at 450 euros and the final price depends on the chosen type of crown and the number of implants needed by the patient. In Spain the price for the same procedure has a starting price of at least 600 euros. Teeth whitening and other cosmetic dentistry procedures are also popular. In Romania you can have a full dental whitening procedure for up to 230 euros. In Spain, the costs are higher, starting at about 200 euros. 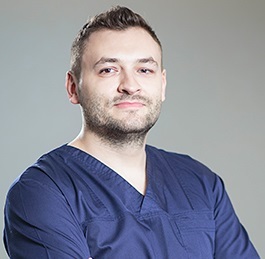 Other affordable dental treatments in Romania include prophylaxis (professional dental cleaning), classic endodontic treatments or simple tooth surgery procedures like extractions. Romania is very accessible from Spain and a number of low cost airlines operate daily flights to and from Bucharest. Once in the country, you will find that transportation is affordable: the prices for bus tickets are lower than in Barcelona and Madrid and so are the fares for cabs. A night at a hotel in Bucharest will start at approximately 40 euros and there are numerous options for dining out and entertainment. Romanians have the same spirit for enjoying themselves and you will find that Bucharest is lively during the daytime and the nigh time. 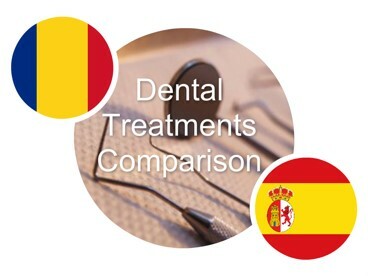 If you would like to know more about other dental services in Romania and their prices as well as a complete guide to traveling and planning your dental vacation in the country you can contact our dentists in Bucharest.